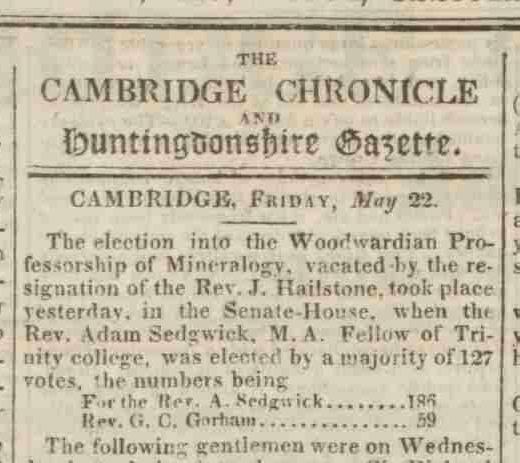 On 21st May 1818 Adam Sedgwick succeeded to the Woodwardian Chair. 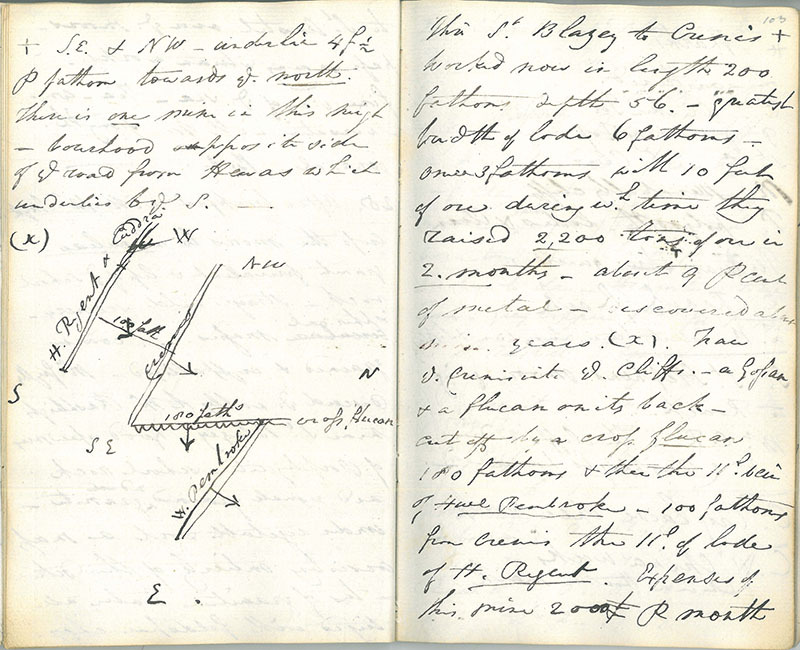 A selection of documents from the Archive are now available to view online for the first time. 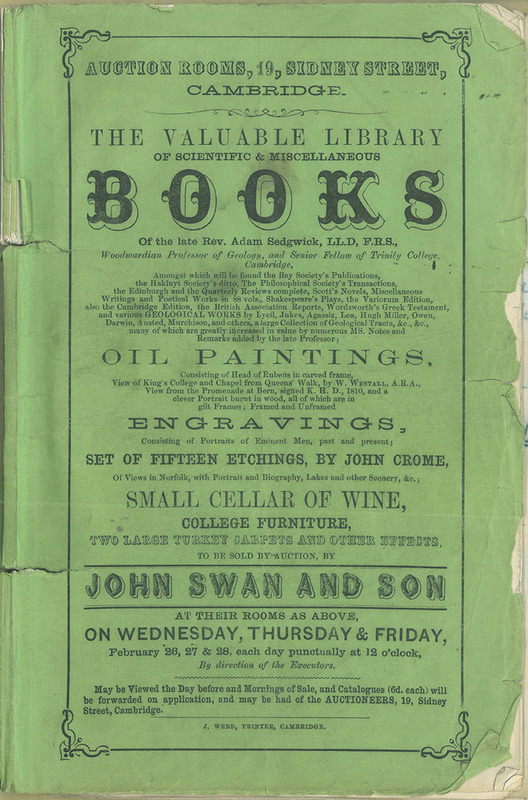 There is also a small facsimile display at the A.G Brighton Building, West Cambridge. 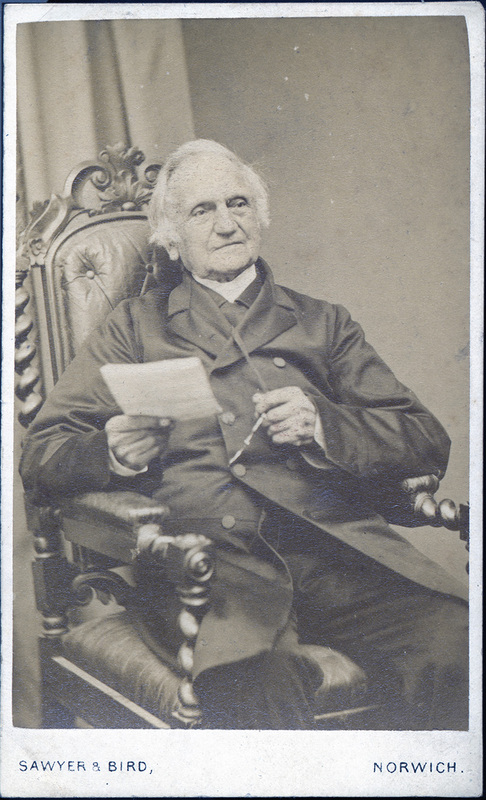 Sedgwick, the son of a schoolmaster, was born in Dent, Yorkshire, 22nd March 1785. 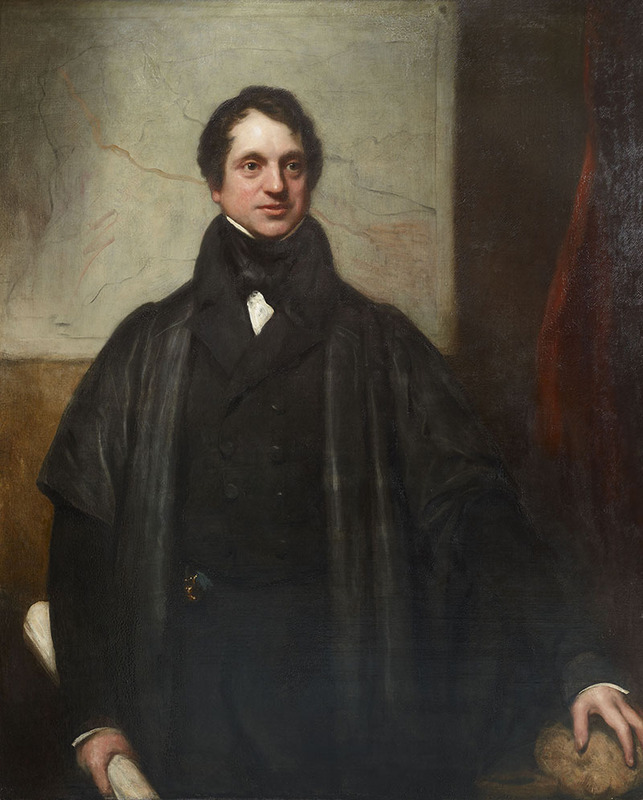 Educated at Sedbergh School and Trinity College, Cambridge (B.A., 1808), Sedgwick became a fellow in 1810, and helped to found the Cambridge Philosophical Society in 1819. He also became a canon of Norwich Cathedral in 1834. 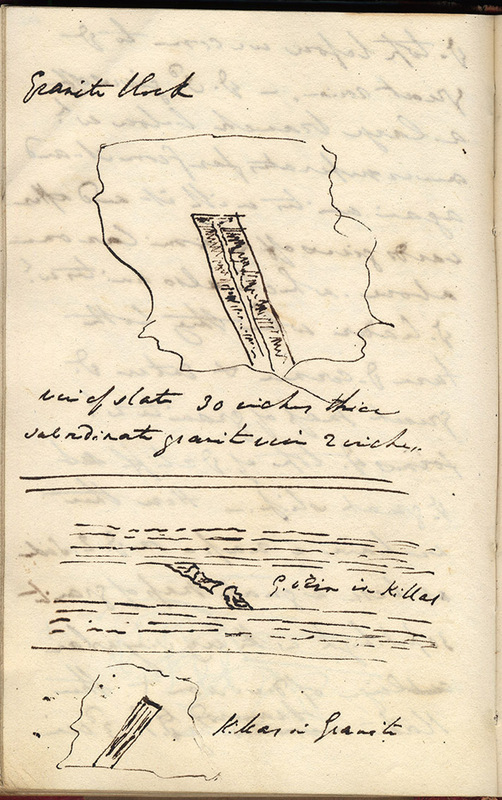 He died on 27 January 1873. 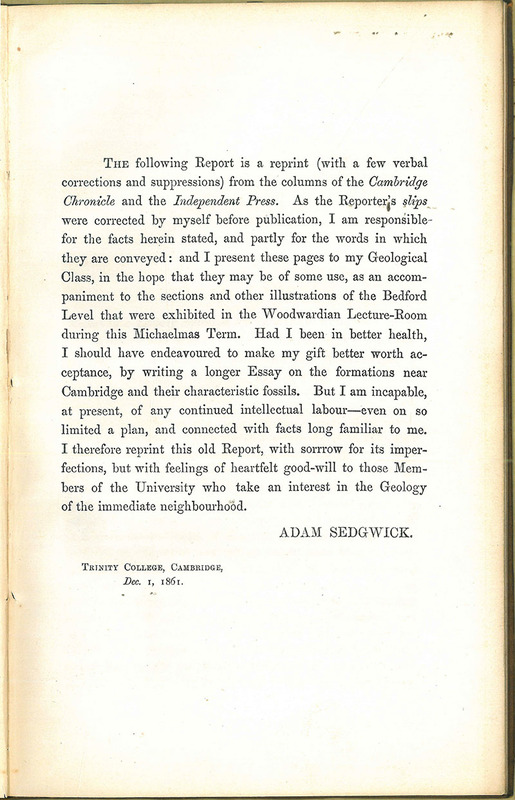 Sedgwick was a surprising candidate but went on to become one of the best known geologists of mid-19th century Britain. 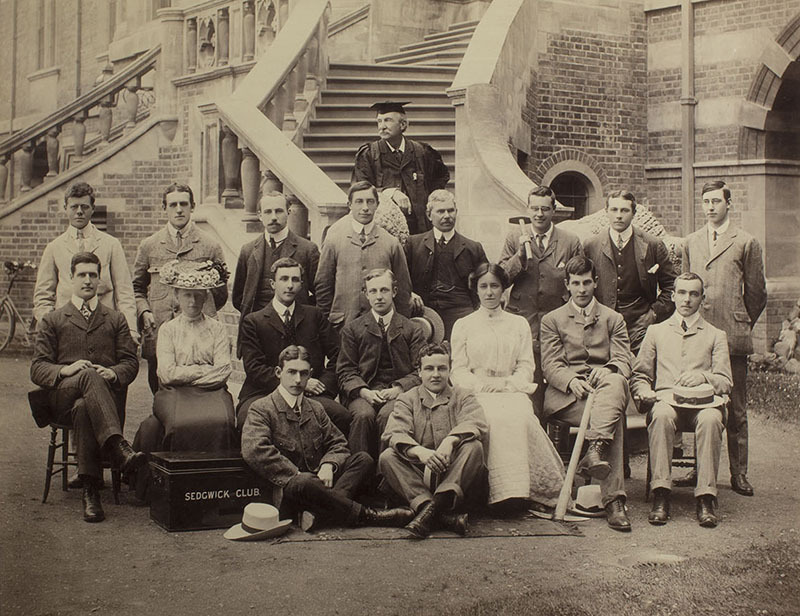 Over the next fifty years Sedgwick lectured and did much to promote the study of natural science in the university. 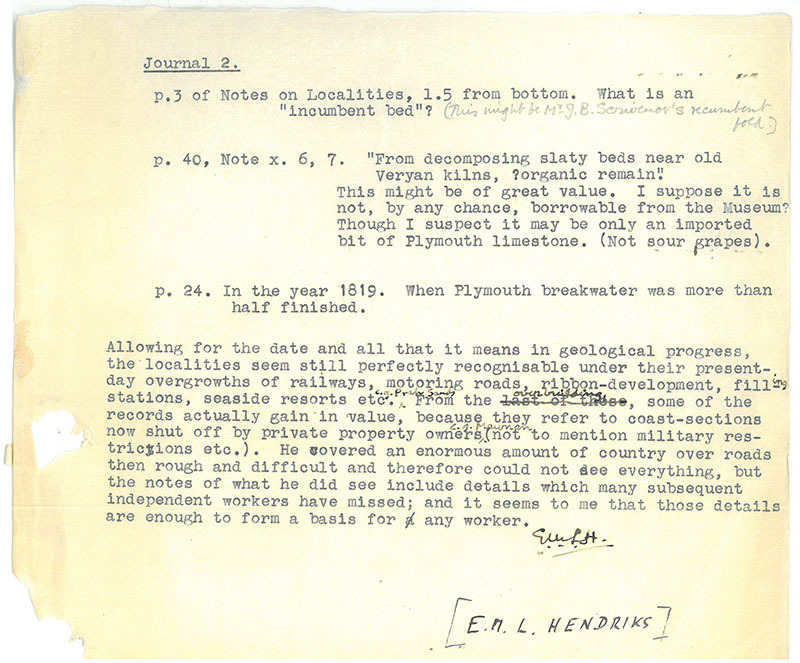 He often spent his vacations carrying out fieldwork especially in southwest England, then the Isle of Wight and Lake District. 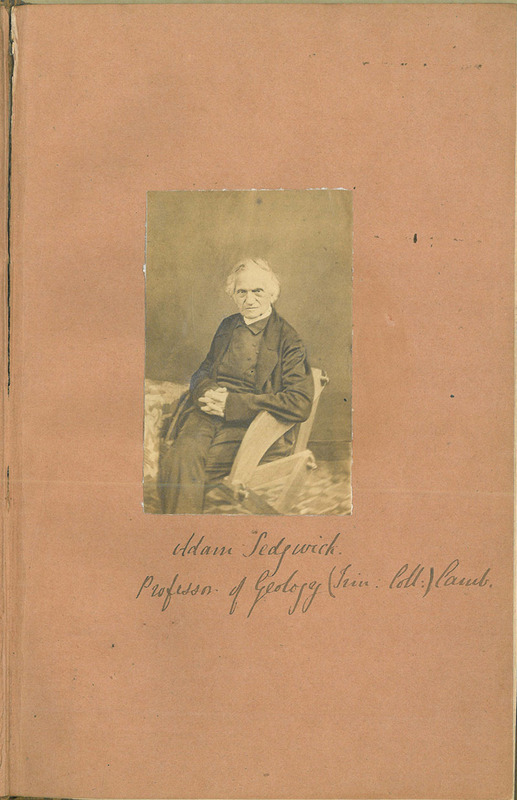 Sedgwick collected hundreds of specimens. 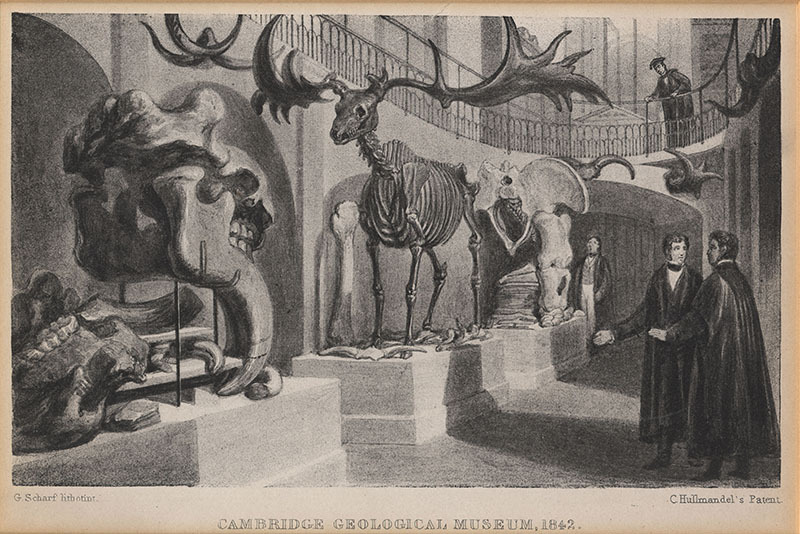 He also bought collections and important specimens from the likes of Mary Anning. 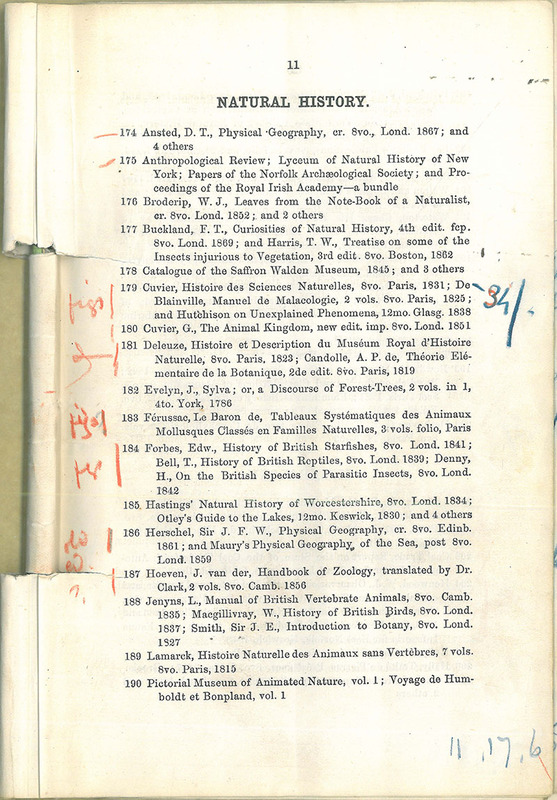 The university's geological collections grew well beyond the core 11,000 specimens endowed by John Woodward in 1728. 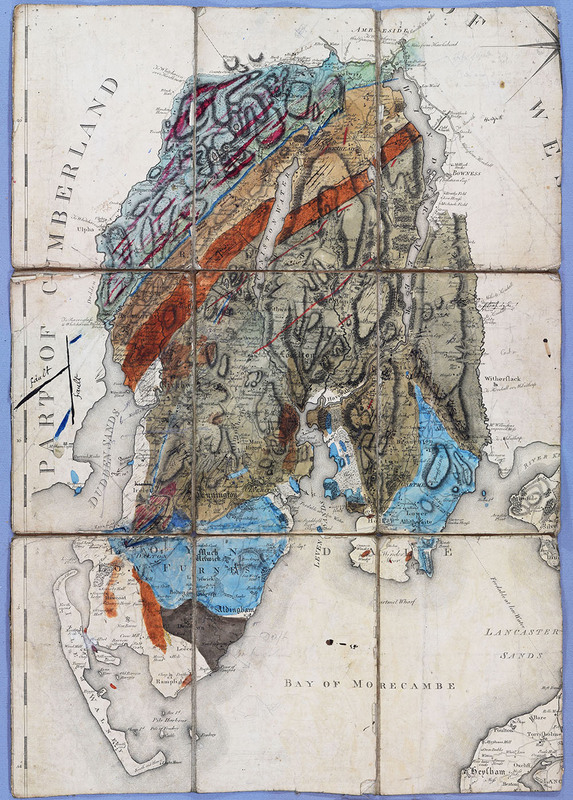 He published many papers, and was active in the Geological Society, Royal Society and British Association. 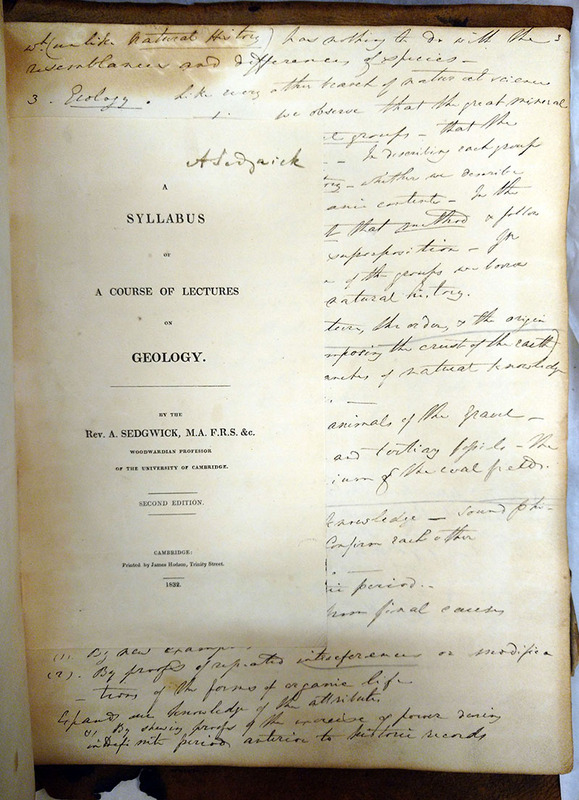 Sedgwick’s Archive, which consists of 52 geological journals, spans his geological career from 1818 to 1857. 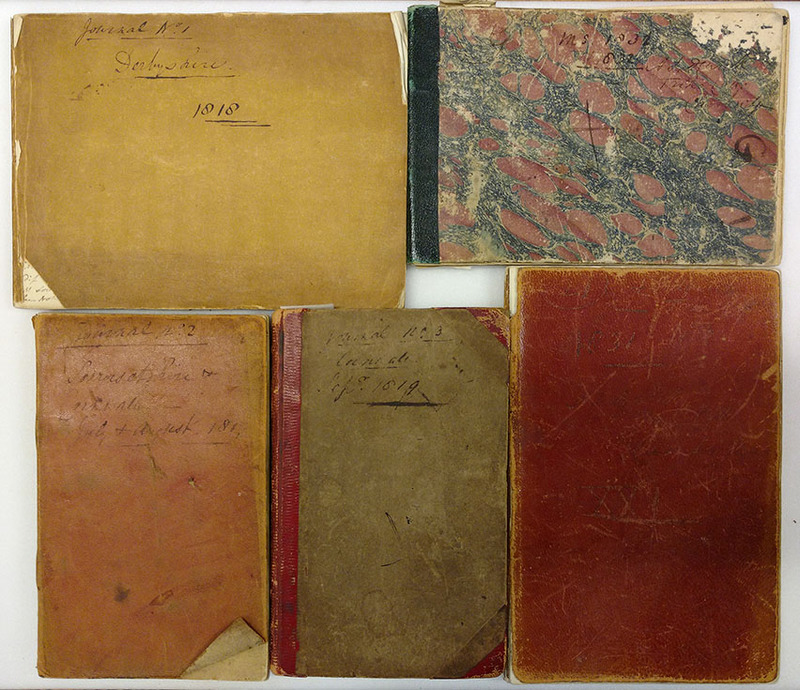 There are also 13 sketchbooks, 10 boxes of maps (often annotated) and draft notes for his lecture series. 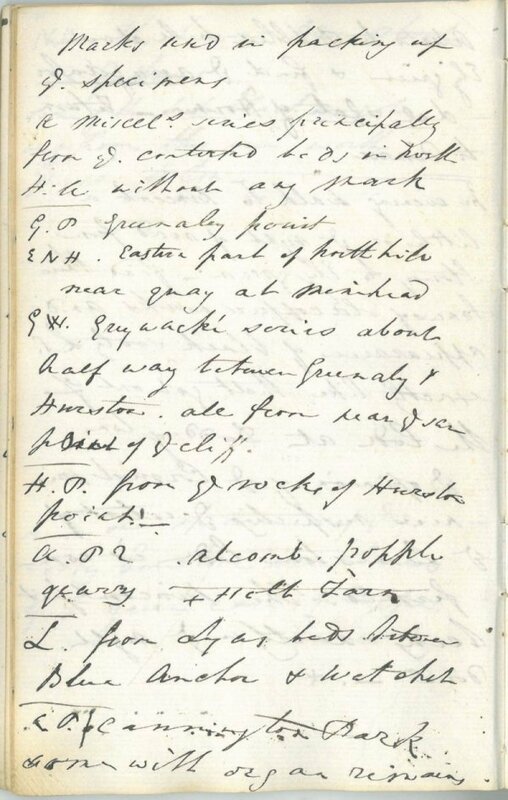 Staff are cataloguing the archive which will be made available on the Archives Hub. Staff are also using Transkribus. 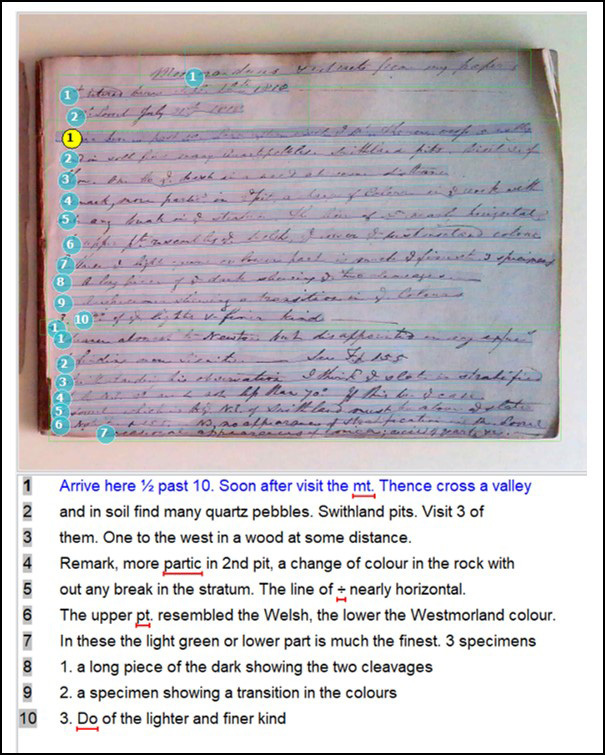 This is a web based platform which can train a 'handwritten text recognition' (HTR) engine to create a model. 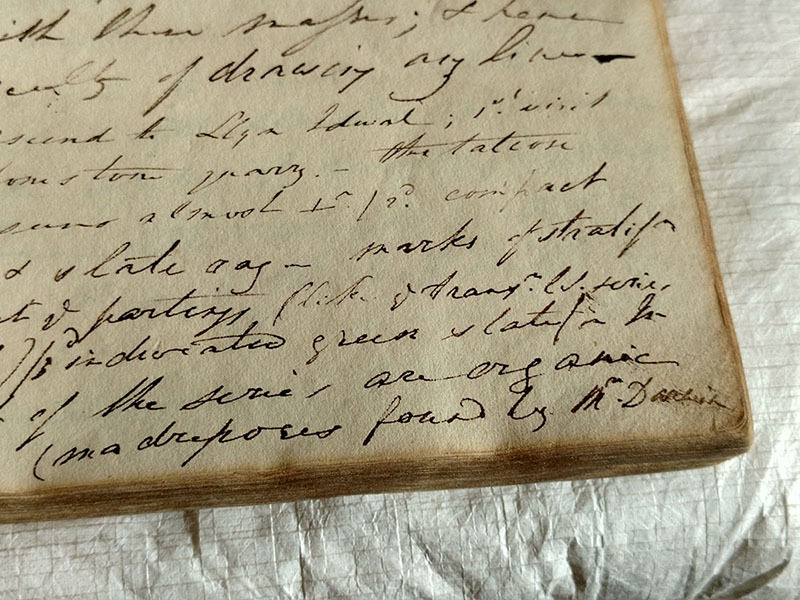 Transcriptions of other pages of Sedgwick’s handwriting may then also be possible. 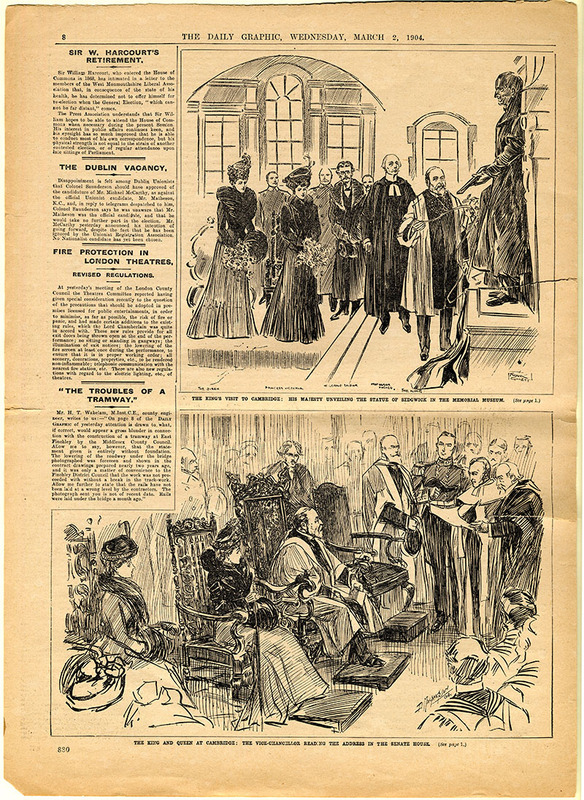 Please click on an image for further information. 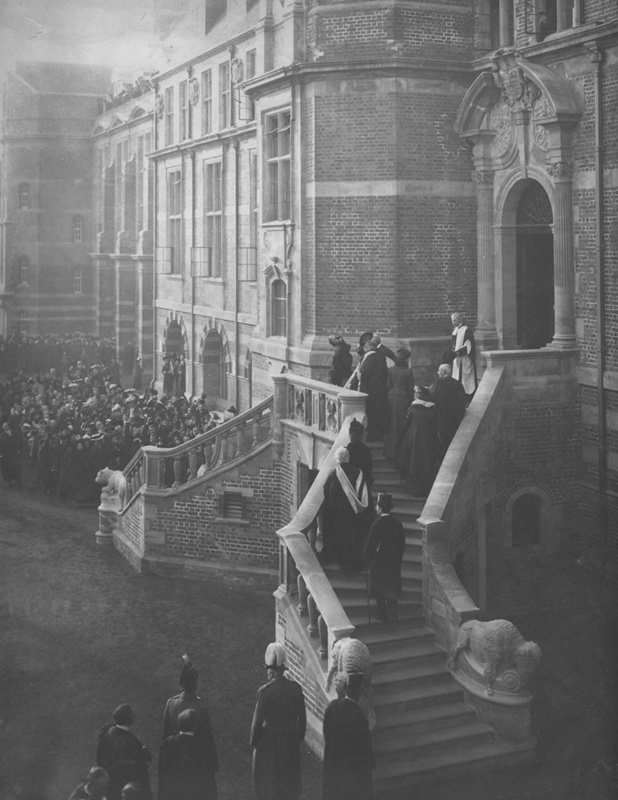 All images subject to ©.